On Wednesday, August 15th, we went out to Bayers Westwood for some spontaneous mobile making! We brought a bunch of awesome wood shapes (ie, scraps!) and a few buckets of paint. We had a blast, and the finished project is installed for all to see outside of the Bayers Westwood Family Resource Centre! Art on the Fence at Ardmore! 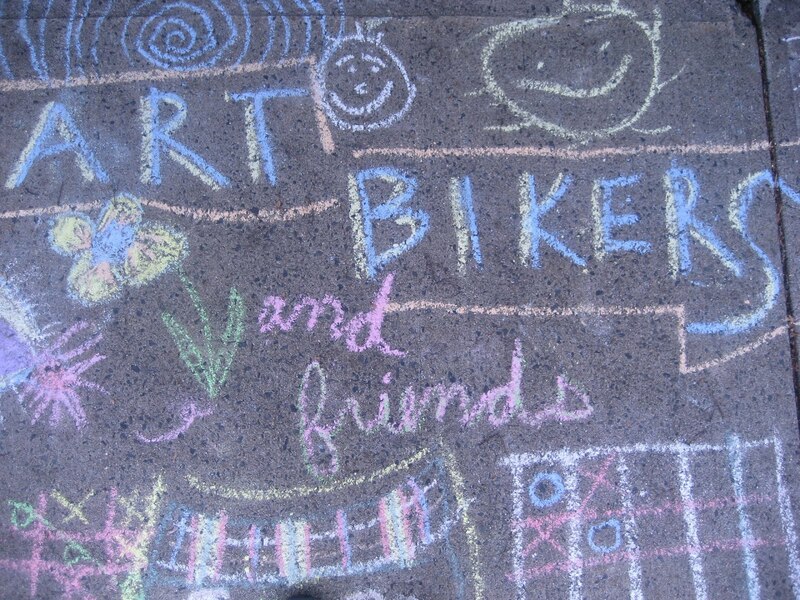 Art Bikers + Youthnet = Amazing Art!